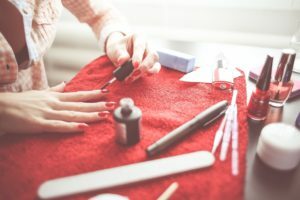 You get your nails done at a salon and they look perfect after your appointments, but how do you keep them looking that good until your next appointment? There are a few key things you can do at home to maintain your nails while you’re waiting for your next trip to see your nail technician. The key to keeping your nails looking nice is moisturizing. Keeping your nails moisturized will help your nails grow faster and keep your cuticle soft and easier to push back, so there’s no need to clip. An easy way to push back your cuticle on your own is while you’re washing dishes. The warm water helps release the cuticle from the nail. Use the dish cloth to apply firm pressure, pushing the cuticle back. Another easy way to moisturize is by using cuticle oil. This will keep the cuticle soft and supple. Cuticle oil is used to moisturize the cuticle, skin and nail area. It can protect the cuticle and nail against damage and improve the health and appearance of the cuticles and nails. Cuticle oil should not be used as a quick fix against dryness, but instead to fix extremely dry, cracked nails. Buffing your nails is also beneficial. It encourages nail growth, removes roughness and surface stains. Using different buffers will have different effects on your nails. A rougher buffer will remove ridges and surface stains, while a very soft buffer will create a look of being polished. Wear gloves if you will be working with your hands for extended periods of time, from washing dishes to gardening. You never know what your hands will come into contact with. If you notice something different about your nails or hands seek advice from your doctor, nail technicians cannot diagnose and treat you. Treat your nails like a very fine piece of jewelry, the better you take care of your nails the better they will look, grow, and feel. Alisha Westberg, pictured to the left, is a current Nail Technology student at our Green Bay school. Want to explore a career in Nail Technology? 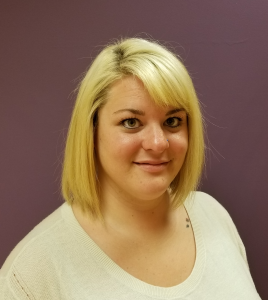 Learn about our Nail Tech program here, or reach out to an Admissions Representative to learn even more by clicking here!